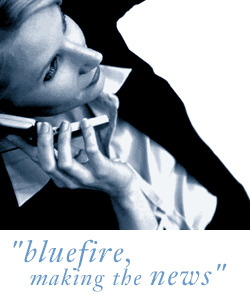 Bluefire Consulting are looking for a Graduate calibre candidate to work as a Sales Executive within the Leisure & Tourism industry in Manchester. - Maximising revenue opportunities by effective selling of advertising space in an effort to hit monthly commission targets. - Monitor ad schedule and destination panel sets to see which spaces need selling i.e. maximise potential provided by each panel set. - Highlight extra promotional opportunities - get Clients to upload and participate. - Support Account Managers/Market Managers with meeting prep and follow up and attend meetings where necessary. - Perform regular parity checks/competitor analysis to make sure we get consistent rates. - Monitor poor performers, determining why they are poor performers and giving them the support to help them improve. - Contribute ideas to promotional projects, marketing campaigns (when our team is asked for input) based on own knowledge of the industry. The successful candidate will ideally have a degree in Leisure and Tourism, although this is not essential. Candidates will be able to demonstrate industry awareness and have a strong telephone manner. Candidates should also be able to demonstrate a sound sales background or sales awareness.